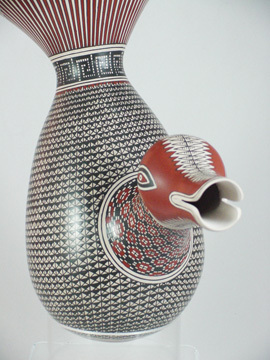 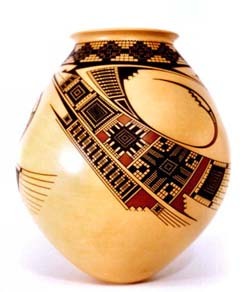 Nancy Heras de Martinez is an incredibly creative and meticulous artist whose designs and paintings of pottery have elevated to the forefront of the Mata Ortiz pottery realm. 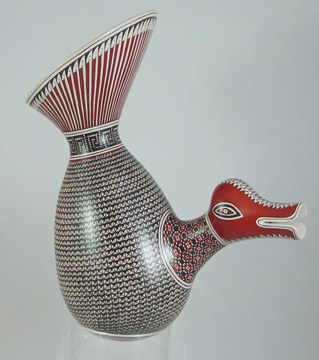 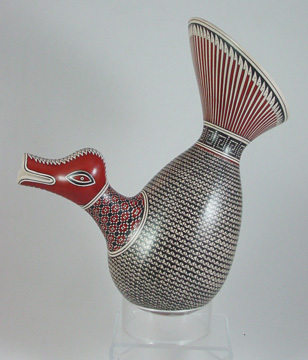 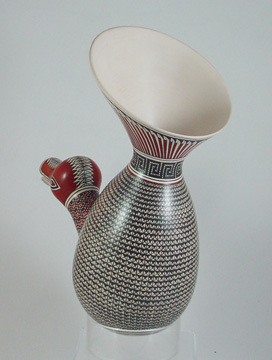 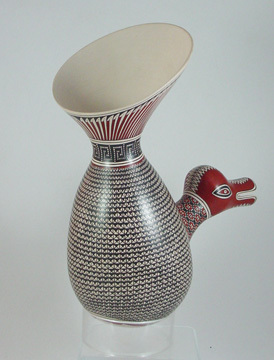 The pottery offered for auction is one of her best known creations, a duck-like effigy. 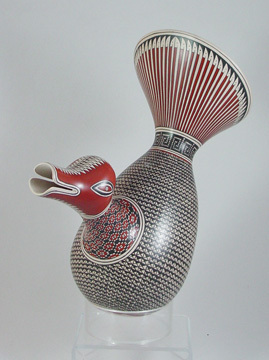 It is a large piece measuring 11 inches tall by 9 inches long.